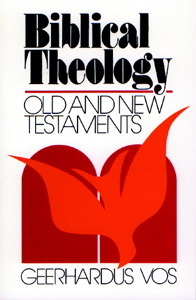 Lane Tipton and Camden Bucey speak about theophanies before turning to pages 72–76 of Geerhardus Vos’s Biblical Theology to speak about the Angel of Jehovah, or the Angel of the Lord. The presence of the Angel punctuates epochal moments in covenant history, and his presence is critical during the patriarchal period. Camden’s article, "The Lord and His Messengers: Toward a Trinitarian Interpretation of Malachi 3:1–4," which was mentioned during the program, was published in The Confessional Presbyterian, Volume 7 (2011).